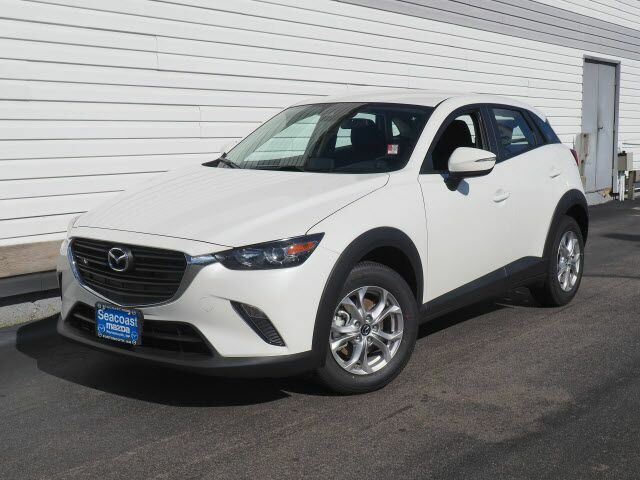 This 2019 Mazda CX-3 Sport is a real winner with features like a push button start, backup camera, blind spot sensors, Bluetooth, braking assist, hill start assist, stability control, traction control, anti-lock brakes, and dual airbags. We're offering a great deal on this one at $22,985. This one's a keeper. It has a crash test safety rating of 5 out of 5 stars. Exhibiting a dazzling white exterior and a black interior, this vehicle won't be on the market for long. Do more than just drive: Bluetooth capability provides wireless access for all your electronic devices. Call and schedule your test drive today! Contact Information: Seacoast Mazda, 180 Spaulding Turnpike, Portsmouth, NH, 03801-3139, Phone: (603) 436-6811, E-mail: sales@seacoastmazda.com.